The world’s largest video sharing platform has started rolling out measures to restrict the reach, visibility, and profitability of “controversial religious or supremacist content.” Is it working? Let’s find out. As we learned earlier this month, YouTube’s plan for videos that don’t necessarily break the rules, but nevertheless fall into this liminal category of hateful or extremist content, was to severely kneecap their reach and visibility. Such videos “won’t be recommended, won’t be monetized, and won’t have key features including comments, suggested videos, and likes,” according to a blog post published by YouTube on August 1. 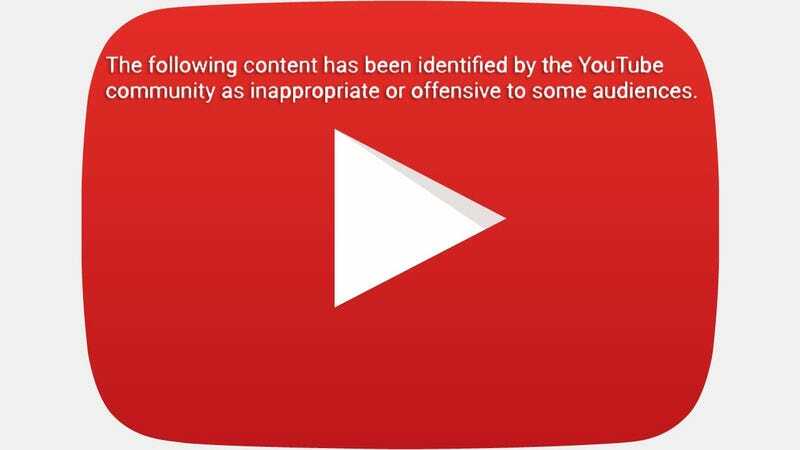 Following an interstitial which informs viewers that the content “has been deemed by the YouTube community as inappropriate or offensive to some audiences,” these quarantined videos play, but with almost none of the features expected of the platform. Likes, subscriptions, sharing, commenting, and even the list of recommended videos are turned completely off. Searching the title of this exact video (in quotes!) does not yield the correct result. Effectively, the chances of anyone viewing this video accidentally are zero. Likewise, the videos of Stefan Molyneux—many of which, like this above New Century Foundation video, also focus on false correlations between races and intelligence or the inability for races to mix—are fully visible and monetized. In fact, searching any of the terms popular within the current fringe white supremacist movement which is taking root in America yields plenty of results. “White genocide,” “Jewish question,” “gay agenda,” “race mixing,” the usual talking points of bigots, all returned video after video. Of course, it’s impossible to know how many results have been omitted, since the search function excludes these quarantined videos. But you have to wonder if YouTube is really trying when titles like “Was Hitler right about everything?” still show up. Despite a wider crackdown among tech companies against extremist content—including Alphabet sibling Google—to remove websites and accounts associated with neo-Nazis, the channels of groups associated with the violence in Charlottesville like Richard Spencer’s National Policy Institute, the Traditionalist Workers’ Party, Identity Europa, and Vanguard America do not appear to have any features revoked. We’ve reached out to YouTube for clarification on how these decisions are being made and will update if we receive a response.